"Had an appointment with Dr. Gadh she was very warm and welcoming." "Dr. Ruchika Gadh is the best in Broward county." You are in great hands with the staff at Gadh Family Practice and we would be happy to be your primary care provider. It is important to have one doctor who knows not only you, but also every member of your family. The caring physicians at Gadh Family Practice are accepting new patients. Their office is conveniently located in Plantation, Florida and also serves families in the nearby neighborhoods of Sunrise, Davie, Weston, Ft. Lauderdale and Miami. 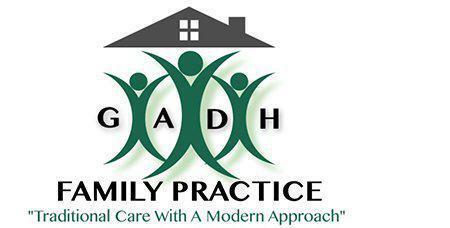 Gadh Family Practice is a family-friendly office that is run by a husband and wife team, who are both board certified in Family Medicine. Rundeep Gadh, D.O. and his wife, Ruchika Gadh, D.O. understand the importance of quality family care and can provide your entire family with individualized care. They can monitor and track your health so you can get all of your needs met in one medical office. At Gadh Family Practice, we accept most major insurance plans. Here is a short-list of just some of the most popular plans we accept. Please contact our office if you do not see your insurance provider listed.